Weight of a tenugui ! Well knock me over with a feather this was a big takeaway for the morning session, sensei demonstrated this amazing aspect of Aiki with ease and entertainment, by continuing to barley lay any weight on ukes and knock them over or bring them down with little to no effort and ukes experiencing no collisions ( there will have to be a lot of time spent in the dojo twirling on how to incorporate these into our technique ) , a tenugui is a light weight towl used a lot in kendo, but also other Japanese activities , serfice To say it dose not weigh much at all so the weight generated with its contact is minimal. All in all a great day with lots of takeaways for everyone , as evident with the final wrap up and feedback session . More aiki fun & reveals to come tomorrow. Sensei spent quite a bit of time on the Nentai level. 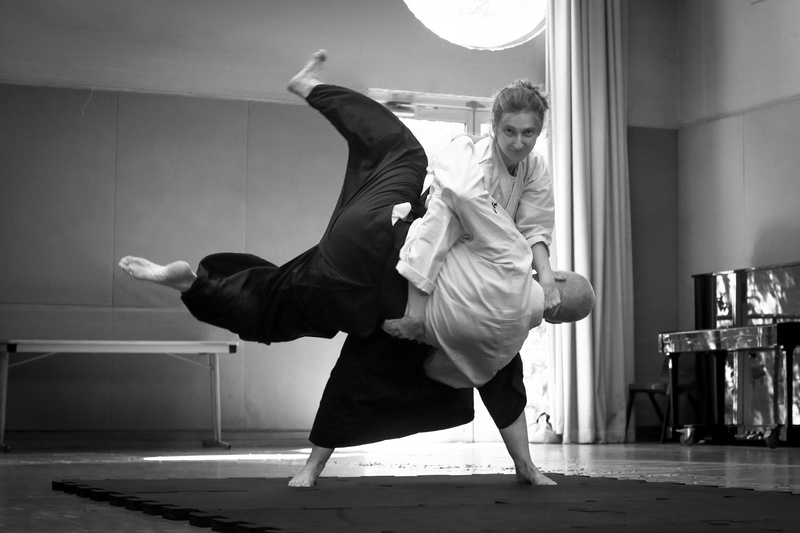 Nentai is the bridge from the physical levels of Kontai, Juntai and Ryu tai (Ryutai being the start of Aikido) to the mind levels of Kutai and Kontai. Nentai focuses on tanden movement, interesting note to self tandan is not the hips is a ball in the abdominal cavity, ala exercises from Okajima and Maruyama Sensei….starting to really resonate with the internal strength. We heard here one of the nicesest explanations of Aikido i’ve ever heard. Aiki is when you move Uke’s tanden beyond their centre line, if it goes beyond the pelvic girdle they must then move (fall or step). Sensei also explained the importance of ukemi, and that being good at ukemi is essential to understanding aikido.